La Habra 1, Villa Park 0 — Janelle Rodriguez pitched a no-hitter for the Highlanders (11-1) in a nonleague victory. Elena Valenzuela had the RBI. El Rancho 4, Hoover 0 — Vince Fuentes pitched a complete game, striking out nine and hit a double and Steven Banuelos and Jose Guerrero both had two doubles for the Dons (6-5) in the Babe Herman Tournament victory. Andrew Alvarez had a double for El Rancho. Heritage Christian 3, Whittier Christian 0 — Cade McGee and Justin Osborn both had six kills and Seth Shumate had three kills, three digs and 17 assists for the Heralds (4-8) in a 25-21, 27-25, 25-22 Olympic League loss. 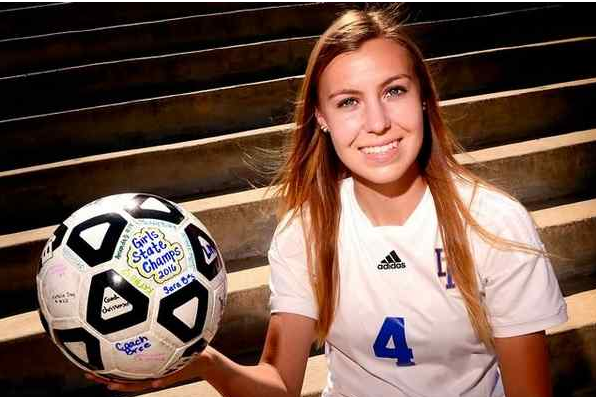 MADDIE BENNETT, LA MIRADA, SR.
It’s hard to imagine where the La Mirada High School girls soccer team would have been this season without senior forward Maddie Bennett.The Matadores still likely successfully defend their Suburban League title, but it’s probably doubtful they win their second consecutive CIF Southern Section Division 4 crown, and winning their first CIF State Southern California regional championship is out of the question. But La Mirada captured them all, and Bennett played a pivotal role in each, not just from a statistical stand point, but from a leader’s view as well. For her efforts, Bennett is the 2016 Whittier Daily News Player of the Year. She also earned the award last season. Bennett is still relishing in scoring the school’s first state regional title. Bennett is really, really good, and she proved it this season. She earned All-Suburban League honors and was CIF-SS Division 4 Player of the Year. She also came up big down the stretch. She had an assist in a 3-1 victory over Moorpark in the Division 4 title game before scoring two goals in the regional semifinals and assisted on the only goal in the regional title game, a 1-0 win over Moorpark. Now she takes her talents to the desert and the University of Arizona. Christensen has accomplished the goal of what most coaches want to achieve — match what your predecessor did and make it better. 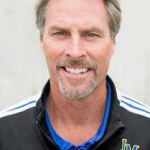 He took over one of the top programs in the area six seasons ago and has transformed it into a CIF-SS power, winning the past two Division 4 crowns and added a CIF State regional crown this season. For his efforts, Christensen is area coach of the year. This season, the Matadores rebounded from back-to-back slip ups (ties to Bellflower and Mayfair) to begin Suburban League play before closing the season with 17 consecutive wins to win the program’s first state regional title. Forward: Amanda Duran, La Mirada, Sr. Forward: Jolene Ceniceros, California, Sr. Forward: Dana Navarrete, Schurr, Sr. Forward: Samantha Garcia, California, Sr.
Mid-fielder Gabriella Hurtado, La Mirada, Jr.
Mid-fielder Daniela Paiz, La Serna, Sr.
Mid-fielder Brianna Barriga, Schurr, Sr.
Defender: Natalie Day, La Mirada, Jr.
Defender: Madison Mader, California, Sr.
Defender: Diana Moreno, Schurr, Sr.
Goal keeper: Melissa Torres, La Mirada, Jr. Forward: Mariela Juarez, Santa Fe, Sr. Forward: Ashlyn Aranda, La Serna, So. Mid-fielder Jillian Isaacs, La Serna, Sr.
Mid-fielder: Sara Aguilar, Schurr, Sr.
Mid-fielder: Brianna Saldana, California, Jr.
Mid-fielder: Corrine Martinez, Santa Fe, Sr.
Mid-fielder: Nina Powers, La Mirada, Sr.
Defender: Patricia Moreno, La Serna, Jr.
Defender: Rehani Shalash, La Serna, Fr. Defender: Brenda Constantino, Montebello, Sr.
Goal keeper: Griselda Minchaca, Pioneer, Sr.
Jennie Finch is arguably one of the top softball players of all time.She set a NCCAA record with 60 consecutive wins from 2001-02, won the NCAA 2002 Honda Award for the nation’s top player and won gold and silver medals for Team USA in the 2004 and ‘08 Olympics, respectively. Tuesday, she was honored at La Mirada High School, which paid homage to their hometown hero by retiring her “No. 27” jersey in pregame ceremony before the Matadores’ Suburban League opener against rival Mayfair. Jennie Finch: “There are so many amazing memories here, it’s incredible to be back here. Both my brothers are here. I grew up watching them play basketball in the gym. Then I had the opportunity to follow them, playing volleyball, basketball and softball. There’s just so many amazing memories. I’m so thankful for my parents. They are my backbone. I would not be here without them. 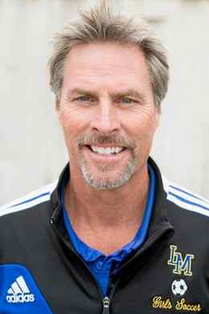 I want to thank the La Mirada softball team and coach (Brent) Tuttle for this. This is such an incredible honor. Santa Fe alum Joey Davis, who finished his high school wrestling career with two consecutive CIF State titles from 2011-12, didn’t miss a beat while in college. Davis recently completed a perfect record during his four seasons at Notre Dame College in South Euclid, Ohio. He finished 131-0 and secured his fourth consecutive NCAA Division II championship with a 3-1 victory over Pitt-Johnstown’s Travis McKillop at the national championships on March 13. 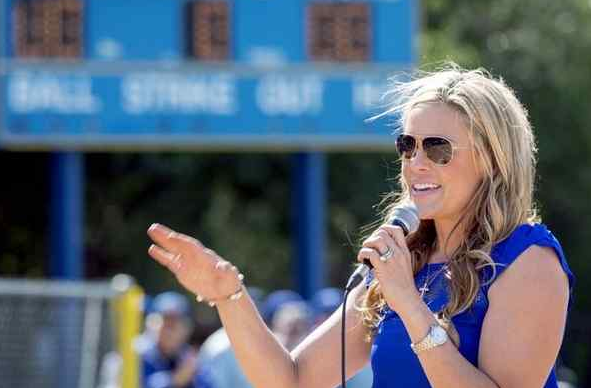 LA MIRADA >>The La Mirada High School softball team wasn’t going to lose to rival Mayfair on a day it paid homage to alum and Olympic Gold Medalist Jennie Finch by retiring her No. 27 jersey.Madison Bogdanovich made sure of it. 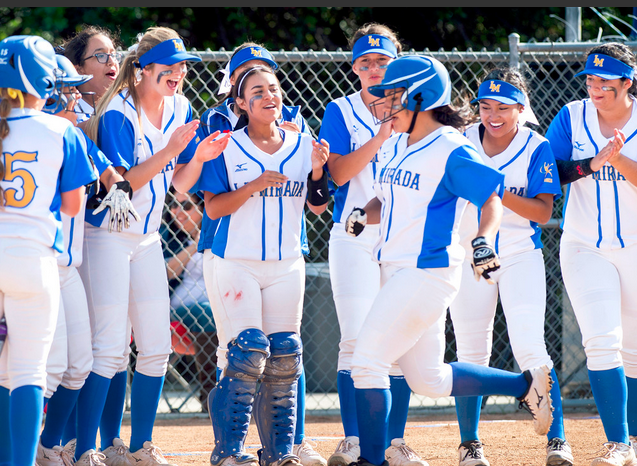 The senior sophomore singled home Marissa Velez to cap a two-run seventh inning and the host Matadores rallied for a 4-3 victory over the Monsoons in the Suburban League opener. Rain Vega also had a two-run home run for La Mirada, which improved to 6-6. Kara Spoolstra and Haylee Ridge had two hits for the Monsoons, who slipped to 5-1. Monsoons pitcher Makenna Stram looked to have the game in hand after giving up four hits with six strike outs through six innings. But the Matadores solved her in the seventh. Pinch-hitter Jorden Ostrowski led off with a single. Vegas, after a fielder’s choice, then tied at 3 with a double to right-center field that scored Nicole Barrow. Bogdanovich, after a passed ball advanced Velez to third, won it with a line-drive single to right-center field. JSerra 1, Whittier Christian 0 — Ellie Suh went 2 for 3 and Mariah McKnight had a double for the Heralds (3-7) in a nonleague game. La Mirada 2, Mayfair 1 — Shawn Dumser pitched a two-hitter and Kevin Kendall and Chad Wilson both had an RBI to lead the Matadores (7-4, 1-0) to the Suburban League victory. Schurr 2, Alhambra 1 — Michael Caldera threw a complete game, striking out five, and Tony Rosario went 1 for 3 with a double and a run for the Spartans (6-5, 2-0) in an Almont League game. Village Christian 2, Whittier Christian 1 — Christian Alvis-Labadie had a single and Trevor McGee had an RBI double for the Heralds (6-4, 1-1) in an Olympic League loss.